The study has just been published in the premier international cancer journal Cancer Cell. Next challenge is to translate the laboratory finding into clinical practice. 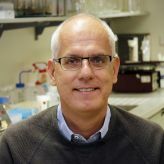 * Professor Hondermarck is a member of the HMRI Cancer Research Program. The study was supported by the University of Newcastle, Hunter Medical Research Institute, Hunter Cancer Research Alliance and Hunter New England Local Health District. HMRI is a partnership between the University of Newcastle, Hunter New England Health and the community.